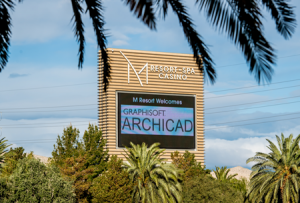 Dates are set for the 2017 GRAPHISOFT North America BIM Conference and We are So Excited! Power User Presentation Submission is Now Open! You can be an integral part of all the learning that will happen at this year’s conference. We had YOU in mind when we created the Power User Session track – because our Power Users have so much to offer. If you are using ARCHICAD in a cool, unique, or trend-setting way, we want to hear from you! Power User courses are intensive training classes for experienced ARCHICAD users looking to develop new skills, enhance their current expertise, and become the ultimate power user! If you have an idea you’d like to present, we are seeking proposals for these interactive sessions. Presentation formats can be traditional 60 minute CEU sessions or you could consider a quick and fun Pecha Kucha style program. You must submit your ideas for session topics and presentations by August 8th! If you have questions, please email us today!